Services 5-25 staff and exceeds OSH minimum guideline requirements Picture is for a kitchen kit. They can be made industry specific. 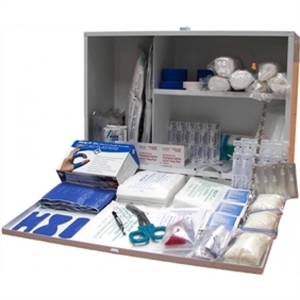 A Comprehensive Kit suitable for the workplace. Exceeds OSH minimum guidelines requirements.